This interview appeared in the July/August 2015 issue of Dimensions magazine. 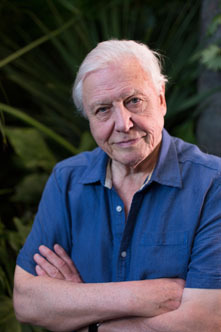 Filmmaker David Attenborough has created countless seminal nature documentaries, including Life on Earth, The Private Life of Plants, and The Blue Planet. His sonorous voice has guided viewers through caves in Borneo, across Antarctic glaciers, through the jungles of Rwanda, and along the bottom of the ocean. In his 60-year career, Attenborough has adapted to numerous changes in film technology. Many of his recent films have been in 3D, and he is now experimenting with virtual reality, including a current project that takes viewers to the Cambrian seas, 550 million years ago. On the eve of his 89th birthday, Attenborough sat down to speak with Dimensions about the promise and limitations of this new technology.